Most Delicious,!! This fresh and vibrant cake will bring them back for more! Just another masterpiece from moms kitchen ! Sift : Flour, baking powder and salt. And set aside. In a large bowl whisk : yogurt, sugar ,eggs, lemon juice, lemon zest, and vanilla. Add flour mixture a little at a time until incorporated. Fold in oil with a rubber spatula. Bake for 45-50 minutes or until wooden skewer comes out clean. Whisk Together until desired consistency. You may need a little more lemon juice to make it pourable. Pour over cooled cake and let stand until icing is hard. 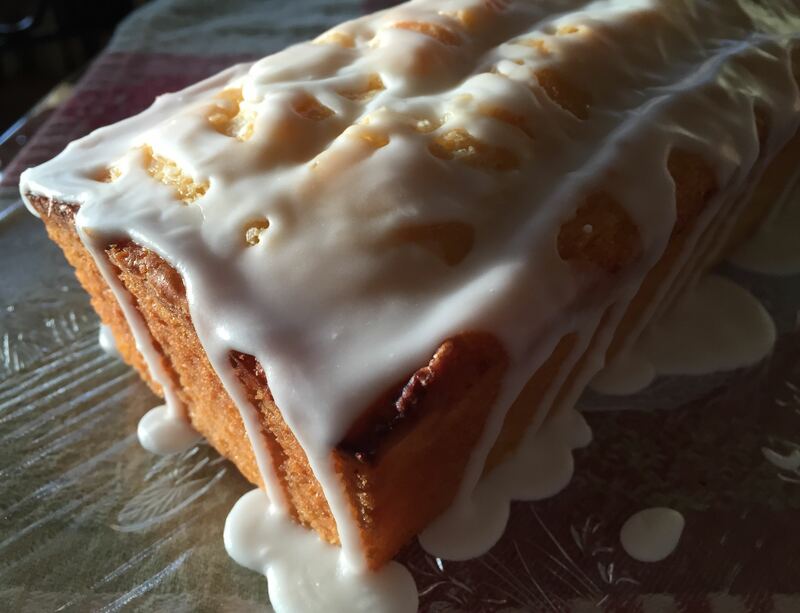 This entry was posted on Sunday, January 25th, 2015 at 6:44 pm	and tagged with lemon cake, Meyer Lemon Glaze, poundcake, yogurt cake, yogurt lemon pound cake and posted in Category. You can follow any responses to this entry through the RSS 2.0 feed.